Sparkling white snowdrifts, beautiful presents wrapped in ribbons, and multicolored lights glittering in the night through the falling snow. A Christmas Eve snowstorm transforms one small town into a romantic haven, the kind you see only in movies. Well, kinda. After all, a cold and wet hike from a stranded train through the middle of nowhere would not normally end with a delicious kiss from a charming stranger. And no one would think that a trip to the Waffle House through four feet of snow would lead to love with an old friend. Or that the way back to true love begins with a painfully early morning shift at Starbucks. 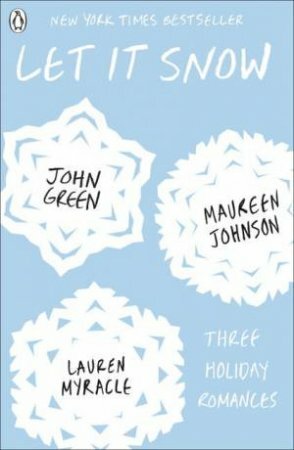 Thanks to three of today's bestselling teen authors - John Green, Maureen Johnson, and Lauren Myracle - the magic of the holidays shines on these hilarious and charming interconnected tales of love, romance, and breathtaking kisses.